Brake Fern in a pot. 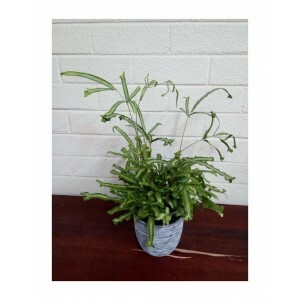 A fern with attractive foliage that comes in many shades of green and may be variegated. Ideal indoor plant in a well-lit position. Grow outdoors in warm climates in partly shaded, sheltered positions. Keep soil moist but not wet at all times. Fertilise with slow release or liquid fertiliser.